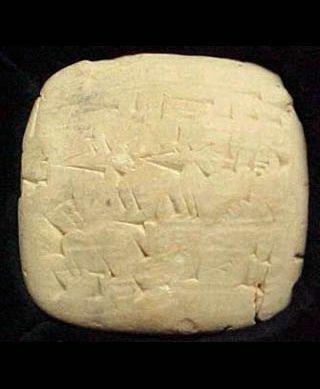 Alulu Beer Receipt - a receipt for "best" beer c. 2050 BC from the Sumerian city of Ur in Ancient Iraq. writings contain references to beer. A prayer to the goddess Ninkasi known as "The Hymn to Ninkasi" serves as both a prayer as well as a method of remembering the recipe for beer in a culture with few literate people. As almost any substance containing carbohydrates, mainly sugar or starch, can naturally undergo fermentation, it is likely that beer-like beverages were independently invented among various cultures throughout the world. The invention of bread and beer has been argued to be responsible for humanity's ability to develop technology and build civilization. The earliest chemically confirmed barley beer to date was discovered at Godin Tepe in the central Zagros Mountains of Iran, ca. 3400-3000 B.C. (Chalcolithic/Late Uruk Period). Historical documentation shows that around 5,000 years ago, ancient Chinese civilizations were brewing a beer-like substance known as kui. In ancient Mesopotamia, clay tablets indicate that brewing was a fairly well respected occupation during the time, and that the majority of brewers were women. The discovery that reuse of the same container for fermenting the mash provided more reliable results was an early one: brewers on the move carried their tubs with them. The Ebla tablets, discovered in 1974 in Ebla, Syria, which date to 2500 BC, reveal that the city produced a range of beers, including one that appears to be named "Ebla" after the city. Early traces of beer and the brewing process have been found in ancient Babylonia as well. At the time, brewers were women as well, but also priestesses. Some types of beers were used especially in religious ceremonies. In 2100 BC, the Babylonian king Hammurabi included regulations governing tavern keepers in his law code for the kingdom. Beer drinking accessories, such as mugs, have also been found in Israel, and date back to nearly 2000 BC. 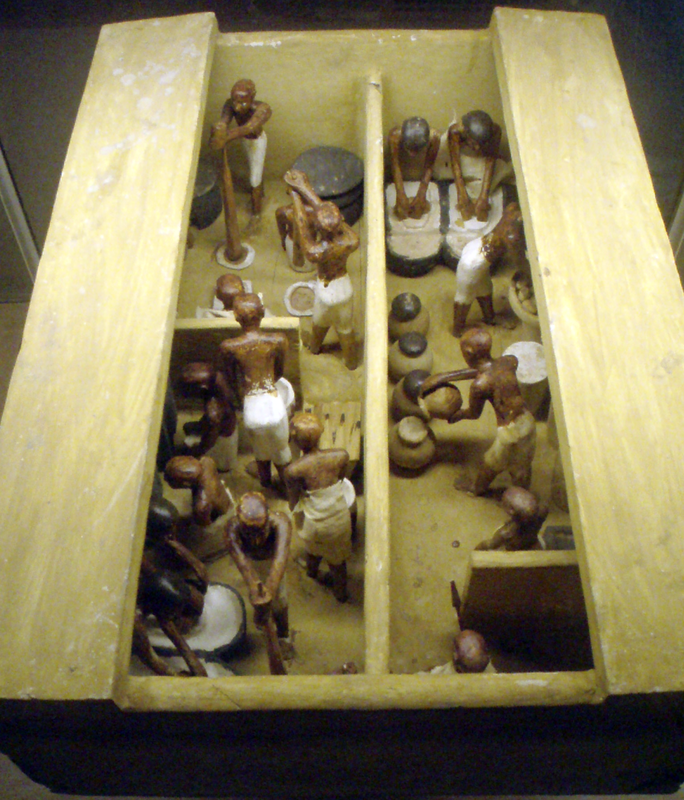 Based on historical evidence, it appears that the Egyptians taught the Greeks the beer brewing process. The Greek writer Sophocles (450 BC) discussed the concept of moderation when it came to consuming beer in Greek culture, and believed that the best diet for Greeks consisted of bread, meats, various types of vegetables, and beer or "ζῦθος" (zythos) as they called it. A Linear B tablet found in Heidelberg suggests that the Mycenaean Greeks might also have had beer. The process of brewing beer grew tremendously during the rise of Christianity. This was primarily because of the roles that monks had in the production of beer. Monasteries were some of the first organizations to brew beer as a trade. Monks built breweries as part of their efforts to provide food, shelter and drink to various travelers and pilgrims. A large number of Christian saints are patrons of brewing. Saint Augustine of Hippo, Saint Luke the Evangelist, and Saint Nicholas all are considered to be patrons of brewing. 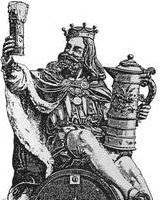 Emperor Charlemagne, the ruler of the Christian kingdom around 770 AD considered beer to be an important part of living, and is often thought to have trained Christian brewers himself. As in ancient times, women were the primary brewers during the Middle Ages. Women took over brewing after the monasteries had really established the process. As almost any cereal containing certain sugars can undergo spontaneous fermentation due to wild yeasts in the air, it is possible that beer-like beverages were independently developed throughout the world soon after a tribe or culture had domesticated cereal. Chemical tests of ancient pottery jars reveal that beer was produced about 5,500 years ago in what is today Iran, and was one of the first-known biological engineering tasks where the biological process of fermentation is used. Also recent archaeological findings showing that Chinese villagers were brewing fermented alcoholic drinks as far back as 7000 BC on small and individual scale, with the production process / methods similar to that of ancient Egypt and Mesopotamia. Beer is also mentioned in the Epic of Gilgamesh, in which the 'wild man' Enkidu is given beer to drink. "...he ate until he was full, drank seven pitchers of beer, his heart grew light, his face glowed and he sang out with joy." Confirmed written evidence of ancient beer production in Armenia can be obtained from Xenophon in his work Anabasis (5th century B.C.) when he was in one of the ancient Armenian villages in which he wrote (Book 4, V). These beers were often thick, more of a gruel than a beverage, and drinking straws were used by the Sumerians to avoid the bitter solids left over from fermentation. Though beer was drunk in Ancient Rome, it was replaced in popularity by wine. Tacitus wrote disparagingly of the beer brewed by the Germanic peoples of his day. Thracians were also known to consume beer made from rye, even since the 5th century BC, as Hellanicus of Lesbos says. Their name for beer was brutos, or brytos. The Romans called their brew cerevisia, from the Celtic word for it, a hint that beer-brewing had come to central Italy from the Celts to the north. The use of hops in beer was written of in 822 by a Carolingian Abbot. Again in 1067 by Abbess Hildegard of Bingen: "If one intends to make beer from oats, it is prepared with hops." Flavoring beer with hops was known at least since the 9th century, but was only gradually adopted because of difficulties in establishing the right proportions of ingredients. Before that, gruit, a mix of various herbs, had been used, but did not have the same conserving properties as hops. Beer flavored without it was often spoiled soon after preparation and could not be exported. The only other alternative was to increase the alcohol content, which was rather expensive. 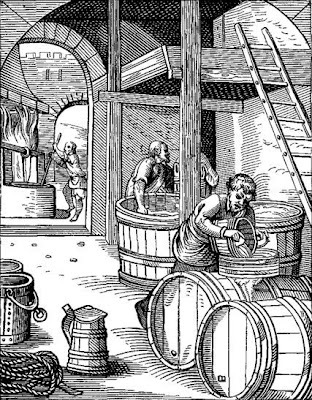 Hopped beer was perfected in the towns of Germany by the 13th century, and the longer lasting beer, combined with standardized barrel sizes, allowed for large-scale export. The German towns also pioneered a new scale of operation and a level of professionalization. Previously beer had been brewed at home, but the production was now successfully replaced by medium-sized operations of about eight to ten people. This type of production spread to Holland in the 14th century and later to Flanders, Brabant and reached England by the late 15th century. Laws to enforce the use of hops in beer were introduced in England in the 14th century, and later similar laws were introduced in other countries. In England, these laws led to peasant uprisings, since it was considered to spoil the taste, but these uprisings were brutally put down. In Europe, beer largely remained a homemaker's activity, made in the home in medieval times. The oldest still operating commercial brewery is the Weihenstephan (Bavaria) abbey brewery, which obtained the brewing rights from the nearby town of Freising in 1040. By the 14th and 15th centuries, beermaking was gradually changing from a family-oriented activity to an artisan one, with pubs and monasteries brewing their own beer for mass consumption. There is pre-historic evidence that shows brewing began around 5400 BC in Sumer (southern Iraq). Some recent archaeological finds also show that Chinese villagers were brewing alcoholic drinks as far back as 7000 BC. However, as with the history of corn whiskey, the production of other alcoholic beverages is often seen as a way to preserve excess grain, rather than an occupation in and of itself. Documented evidence and recently excavated tombs indicate that the Chinese brewed alcoholic beverages from both malted grain and grain converted by mold from prehistoric times, but that the malt conversion process was largely considered inefficient in comparison with the use of molds specially cultivated on rice carrier (the resulting molded rice being called 酒麴 in Chinese and Koji in Japanese) to convert cooked rice into fermentable sugars, both in the amount of resulting fermentable sugars and the residual by products (the Chinese use the dregs left after fermenting the rice, called 酒糟, as a cooking ingredient in many dishes, frequently as an ingredient to sauces where Western dishes would use wine), because the rice undergoes starch conversion after being hulled and cooked, rather than whole and in husks like barley malt. Furthermore, the hop plant being unknown in East Asia, malt-based alcoholic beverages did not preserve well over time, and the use of malt in the production of alcoholic beverages gradually fell out of favor in China until disappearing from Chinese history by the end of the Tang Dynasty. The use of rice became dominant, such that wines from fruits of any type were historically all but unknown except as imports in China. The production of alcoholic beverage from cooked rice converted by microbes continue to this day, and some classify such beverages (米酒mijiu in Chinese and Sake in Japanese) as beers since they are made from converted starch rather than fruit sugars. However, this is a debatable point, and such beverages are generally referred to as "rice wine" or "sake" which is really the generic Chinese and Japanese word for all alcoholic beverages. The discovery of yeast's role in fermentation in 1857 by Louis Pasteur gave brewers methods to prevent the souring of beer by undesirable microorganisms. Many European nations have unbroken brewing traditions dating back to the earliest historical records. 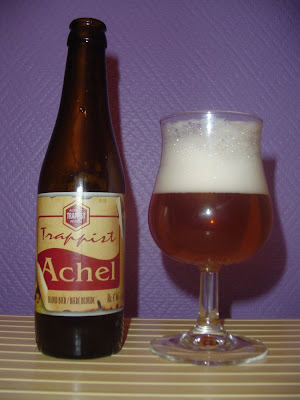 Beer is an especially important drink in countries such as Belgium, Germany, Ireland, and the UK, with nations such as France, the Scandinavian countries, the Czech Republic, and others having strong and unique brewing traditions with their own history, characteristic brewing methods, and styles of beer. Unlike in many parts of the world, there is a significant market in Europe (the UK in particular) for beer containing live yeast. These unfiltered, unpasteurised brews are awkward to look after compared to the commonly sold dead beers: live beer quality can suffer with poor care, but many people prefer the taste of a good live beer to a dead one. While beer is usually matured for relatively short times (a few weeks to a few months) compared to wine, some of the stronger so-called real ales have been found to develop character and flavour over the course of as much as several decades. In 1953, New Zealander Morton W. Coutts developed the technique of continuous fermentation. Coutts patented his process which involves beer flowing through sealed tanks, fermenting under pressure, and never coming into contact with the atmosphere, even when bottled. His process was introduced in the US and UK, but is now used for commercial beer production only in New Zealand. In some sectors brewers are reluctant to embrace new technology for fear of losing the traditional characteristics of their beer. 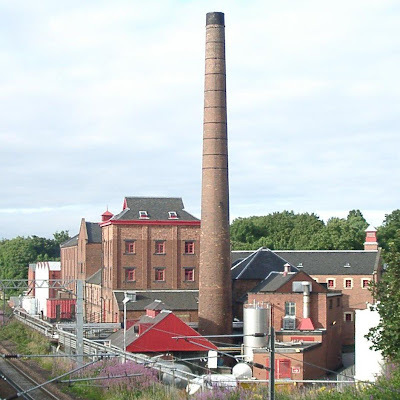 For example Marston's Brewery in Burton on Trent still uses open wooden Burton Union sets for fermentation in order to maintain the quality and flavour of its beers, while Belgium's lambic brewers go so far as to expose their brews to outside air in order to pick up the natural wild yeasts which ferment the wort. Traditional brewing techniques protect the beer from oxidation by maintaining a carbon dioxide blanket over the wort as it ferments into beer. Modern breweries now brew many different types of beer, ranging from ancient styles such as the spontaneously-fermented lambics of Belgium; the lagers, dark beers, wheat beers and more of Germany; the UK's stouts, milds, pale ales, bitters, golden ale and new modern American creations such as Chili Beer, Cream Ale, and Double India Pale Ales. Prior to Prohibition, there were thousands of breweries in the United States, mostly brewing heavier beers than modern US beer drinkers are used to. Beginning in 1920, most of these breweries went out of business, although some converted to soft drinks and other businesses. Bootlegged beer was often watered down to increase profits, beginning a trend, still on-going today, of the American palate preferring weaker beers. Consolidation of breweries and the application of industrial quality control standards have led to the mass-production and the mass-marketing of huge quantities of light lagers. Advertising became supreme, and bigger companies fared better in that market. 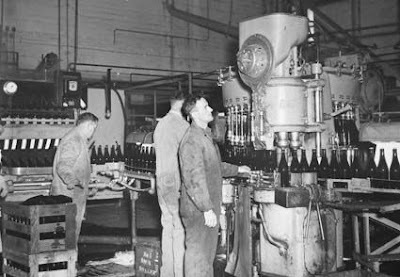 The decades after World War II saw a huge consolidation of the American brewing industry: brewing companies would buy their rivals solely for their customers and distribution systems, shutting down their brewing operations. Breweries and imports have become more abundant since the mid 1980s; the number of breweries has been claimed as being either over 1,500 in 2007 or over 1,400 in 2010, depending on the source. In Egyptian mythology, the immense blood-lust of the fierce lioness goddess Sekhmet was only sated after she was tricked into consuming an extremely large amount of red-coloured beer: she became so drunk that she gave up slaughter altogether and became docile.